Which Car Is The Biggest Departure From Its Base Model? You can count me among the people who were surprised by the looks of the new 2015 Chevrolet Corvette. I expected a big power boost with some subtle aesthetic upgrades, like Z06s of the past, and that was about it. But no. We now have creases and bumps and spoilers galore. And that is just better. It's weird to think of the "Z06" designation as merely an upgraded trim level, what with its enormous power boost and Super Shredder-esque styling. Somehow it seems like so much more. But then again, it's not even the furthest departure from a base model that the world has ever seen. For that, I think you have to go with the true oddities of the motoring world, the mid-engined French hatchbacks. Most mid-engined cars are designed for that setup from the start, and are stretched long and lean with the cabin pushed to the front. 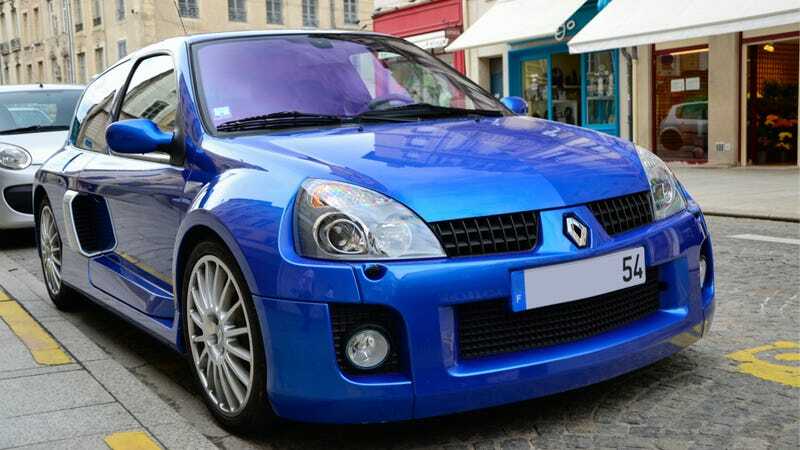 Cars like the Renault Clio V6 are, well, the opposite of that. Without the ability to fit a V6 under the traditional hood, they just shove it where the back seats and trunk are supposed to be. It's ridiculous, it makes no sense, and it's a perfect example of what makes the automotive world great. And all to think that these silly animals started out as a dinky little French hatch. It's pretty darn swell. So what car do you think is the biggest departure from its base model? What cars have superseded the term "trim level?" Let us know in the comments below!